Choosing and financing your next vehicle can be a stressful process, but it doesn’t have to be. 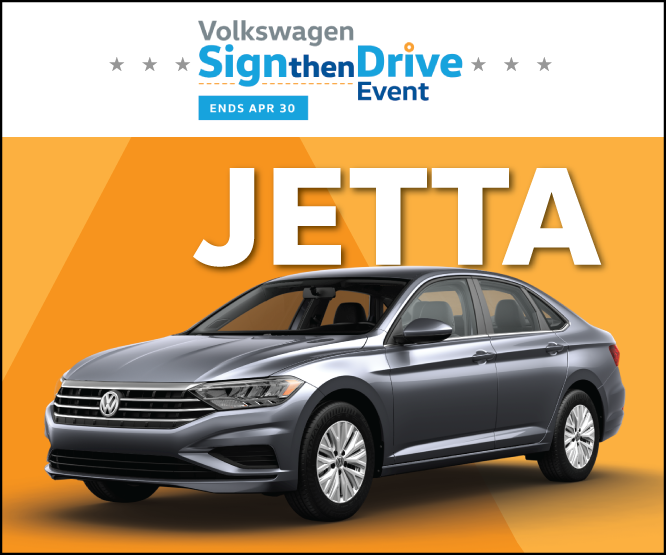 Thanks to the rotating Volkswagen specials at our dealership, you can find a Volkswagen Tiguan or Volkswagen Jetta for a price that won’t over-stretch your budget. If you have any questions about our exclusive offers or new vehicle inventory, reach out to our team at your convenience. 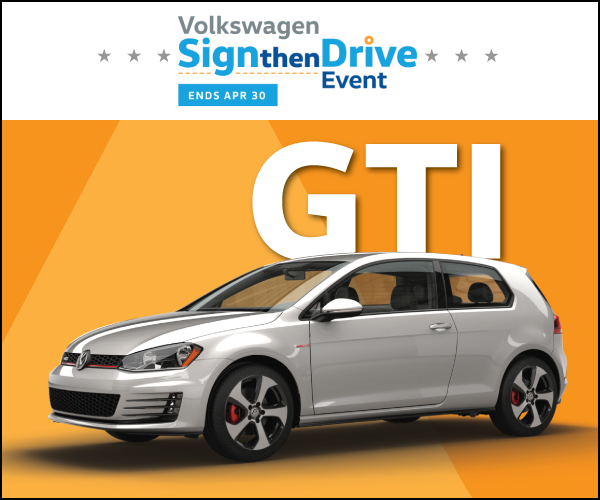 Sign then Drive is here at Stohlman VW of Tyson’s Corner! Visit us today for many great lease and financing offers that are only here for a limited time. 2019 Jetta S Stock #: V90902, MSRP: $21,010. Lease Offer: $0 down payment, $0 first month’s payment, $0 security deposit. Excludes tax, tags, acquisition fee, freight and $699 processing fee due at lease signing. Monthly payment is plus tax. Based on a 36-month lease with 10,000 miles per year. On Approved Credit. Military and First Responder’s offer can be used for additional money off or lower payment. Please contact a sales enthusiast for details at 855-832-9299 or by visiting us at the dealership. Expires April 30, 2019. 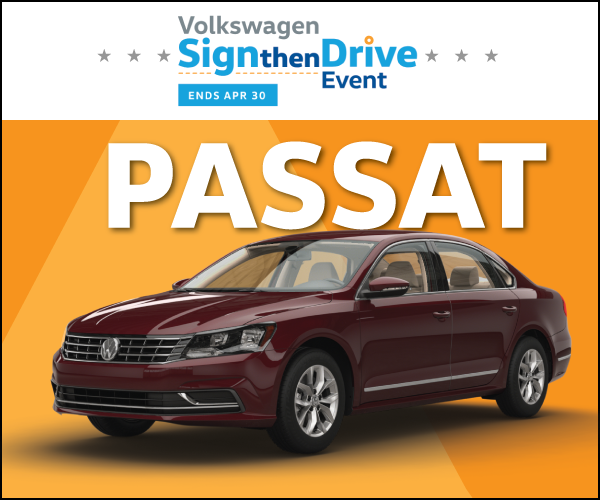 2019 Passat Wolfsburg Edition Stock #: V90684, MSRP: $27,425. Lease Offer: $0 down payment, $0 first month’s payment, $0 security deposit. Excludes tax, tags, acquisition fee, freight and $699 processing fee due at lease signing. Monthly payment is plus tax. Based on a 36-month lease with 10,000 miles per year. On Approved Credit. Military and First Responder’s offer can be used for additional money off or lower payment. Please contact a sales enthusiast for details at 855-832-9299 or by visiting us at the dealership. Expires April 30, 2019. Comes with Automatic Transmission, leatherette/heated seats, keyless access, 3-zone climate control, power drivers seat, and blind spot monitoring. 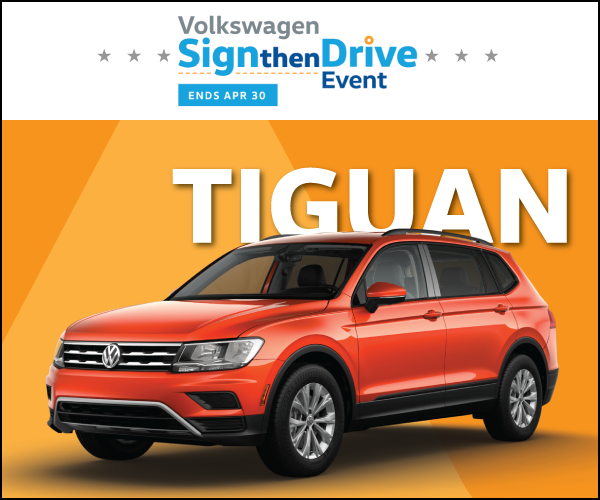 2019 Tiguan SE AWD Stock #: V91124, MSRP: $30,775. Lease Offer: $0 down payment, $0 first month’s payment, $0 security deposit. Excludes tax, tags, acquisition fee, freight and $699 processing fee due at lease signing. Monthly payment is plus tax. Based on a 36-month lease with 10,000 miles per year. On Approved Credit. Military and First Responder’s offer can be used for additional money off or lower payment. Please contact a sales enthusiast for details at 855-832-9299 or by visiting us at the dealership. Expires April 30, 2019. 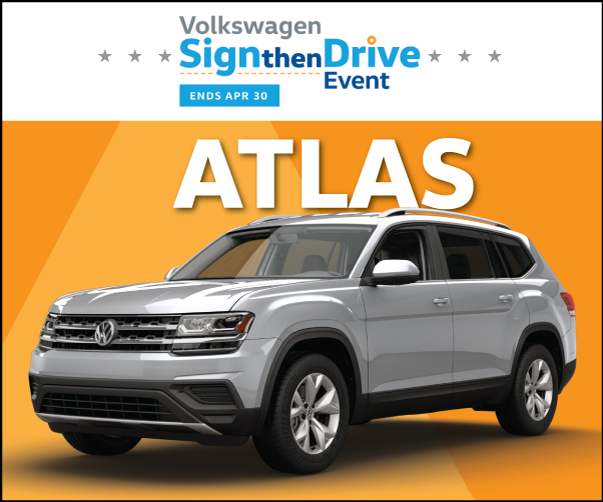 2019 Atlas SE with Technology AWD Stock #: V90390, MSRP: $41,625. Lease Offer: $0 down payment, $0 first month’s payment, $0 security deposit. Excludes tax, tags, acquisition fee, freight and $699 processing fee due at lease signing. Monthly payment is plus tax. Based on a 36-month lease with 10,000 miles per year. On Approved Credit. Military and First Responder’s offer can be used for additional money off or lower payment. Please contact a sales enthusiast for details at 855-832-9299 or by visiting us at the dealership. Expires April 30, 2019. 2019 Golf GTI S Manual Stock #: V90606, MSRP: $29,425. Lease Offer: $0 down payment, $0 first month’s payment, $0 security deposit. Excludes tax, tags, acquisition fee, freight and $699 processing fee due at lease signing. Monthly payment is plus tax. Based on a 36-month lease with 10,000 miles per year. On Approved Credit. Military and First Responder’s offer can be used for additional money off or lower payment. Please contact a sales enthusiast for details at 855-832-9299 or by visiting us at the dealership. Expires April 30, 2019. 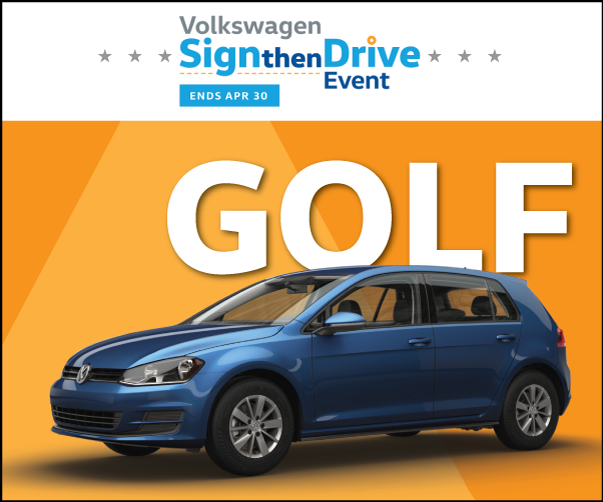 2019 Golf SE Auto Stock #: V91029, MSRP: $27,920. Lease Offer: $0 down payment, $0 first month’s payment, $0 security deposit. Excludes tax, tags, acquisition fee, freight and $699 processing fee due at lease signing. Monthly payment is plus tax. Based on a 36-month lease with 10,000 miles per year. On Approved Credit. Military and First Responder’s offer can be used for additional money off or lower payment. Please contact a sales enthusiast for details at 855-832-9299 or by visiting us at the dealership. Expires April 30, 2019. After browsing our new vehicle specials online, take the trip from Alexandria to Tysons Corner to see them up close! Our team is here to walk you through the car-buying process step-by-step so you can get the Volkswagen model you want. Apply for financing in advance or estimate your monthly payments with our easy-to-use payment calculator!